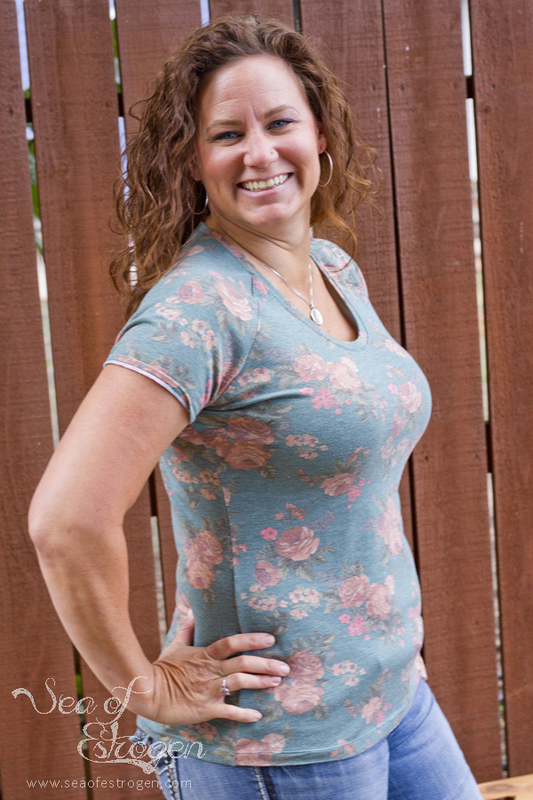 Bella Sunshine Designs is re-releasing the Reagan Raglan Sewing Pattern! 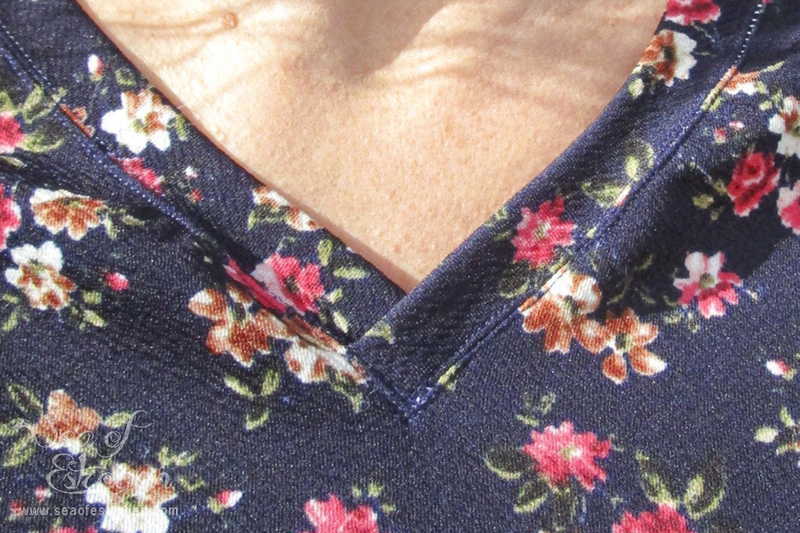 I am thrilled to have tested the pattern update, and I am excited to share it with you! Before I talk more about the pattern itself, I want to mention that if you already own the Reagan Raglan, you DO NOT need to re-purchase it. Just log into your Bella Sunshine Designs account and re-download the files. My Reagan sporting her new Reagan! This pattern test was a unique experience for me because I was part of the original pattern testing group several months ago. 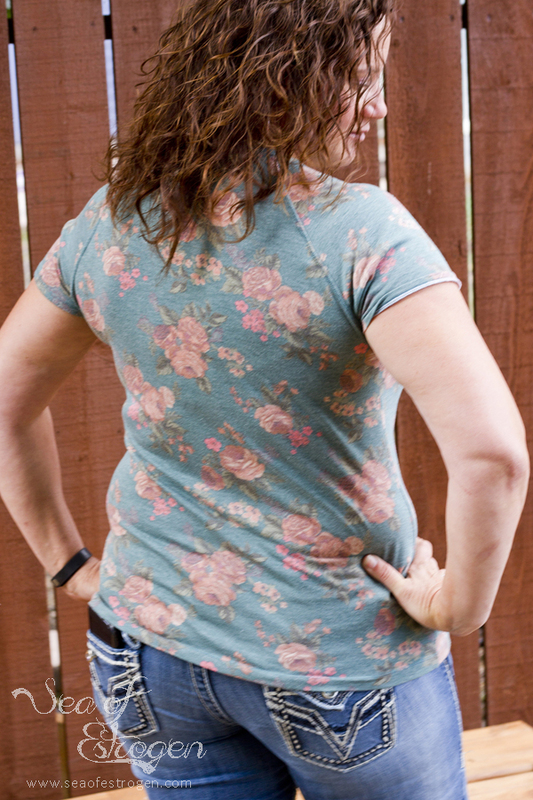 At that time, the pattern only included a v-neck option, and the sizing included sizes 0 to 20. 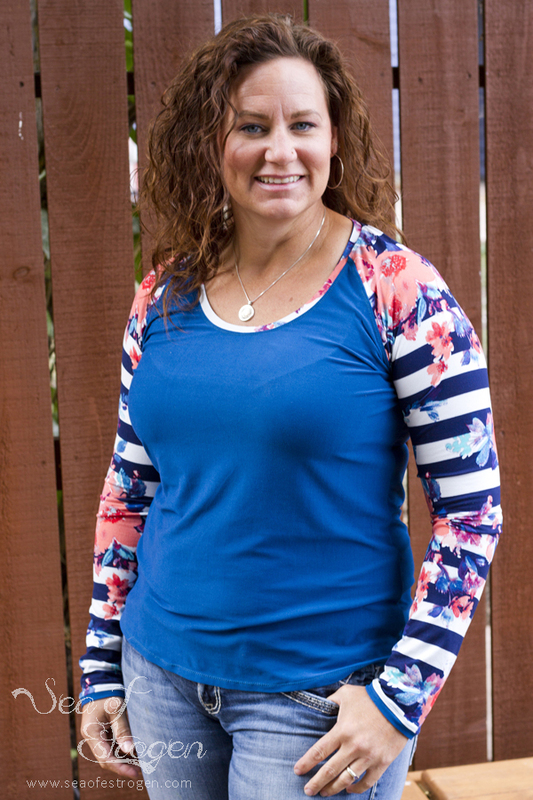 The all-new updated pattern now includes a scoop neck option, and additional sizing options expanded to include sizes 21-30. 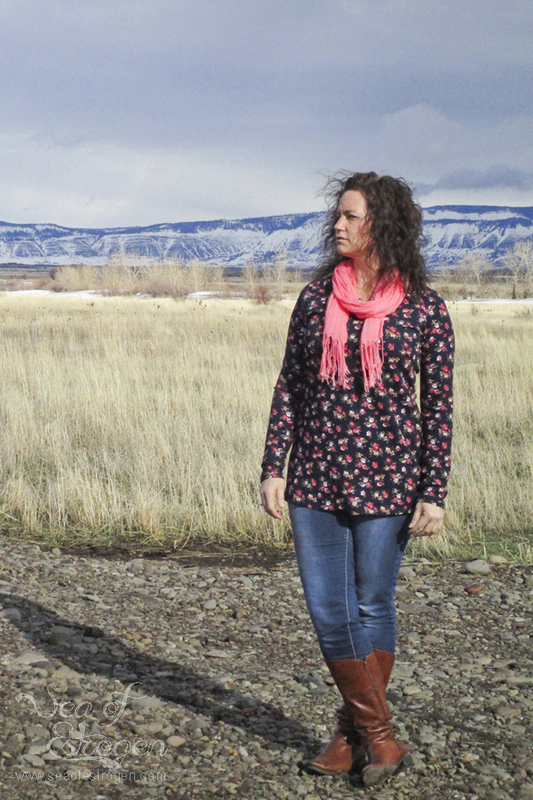 Knit raglans are super comfortable, and it’s no surprise they’re such a popular style! With two neckline options – v-neck and scoop, two sleeve options, and three length options, the possibilities are endless! Both sleeve lengths include a band which adds a nice detail in addition to making the sleeve easy to hem. As a bonus, a bust adjustment is included in the pattern, taking the guess work out of fitting for the bust! 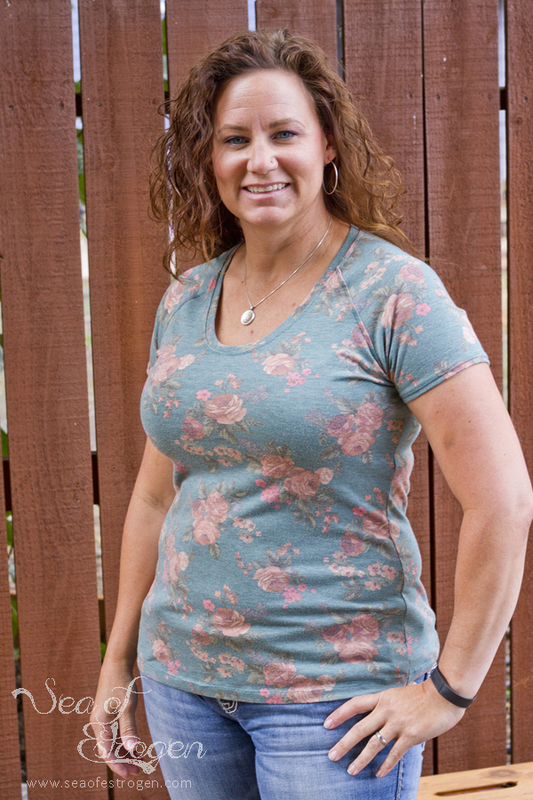 Another feature of Bella Sunshine Designs patterns is the layers option, which allows for printing only the size needed. The pdf files are available in US Letter, A4, and A0 print sizes. 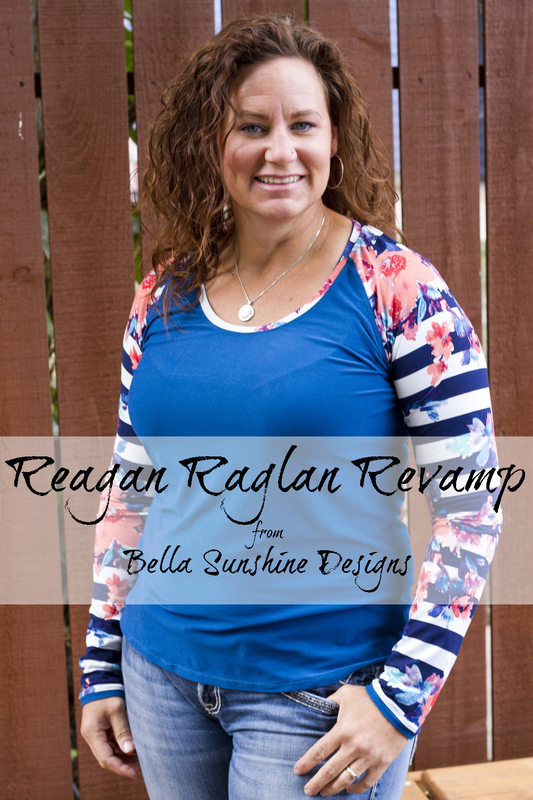 The BSD Reagan Raglan is available for $5.00 at Bella Sunshine Designs; however, if you join the Bella Sunshine Designs Facebook Group, there is a code in the pinned post that will allow you to purchase the pattern for FREE! 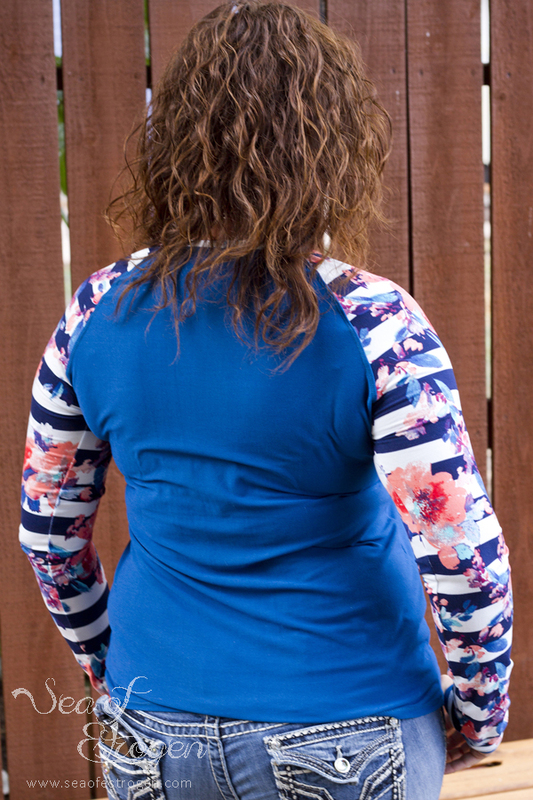 I loved working on the original pattern test for the Reagan Raglan, and this version is no different. It is a quick, easy sew, and the options ensure style alternatives for every personality out there! Since it can be “purchased” for free, it is definitely a pattern worth trying!